With the expansion of distance education, the problem of over-education in the system of distance education has emerged, but it seems that none of the existing empirical studies have addressed this issue. 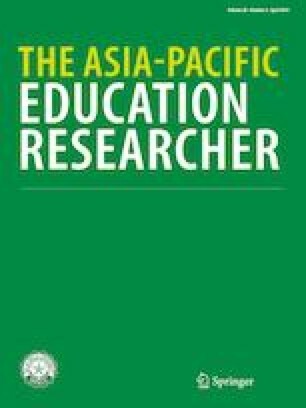 This study conducts an empirical and comparative analysis of the problem of over-education between distance education and face-to-face education by analyzing nationwide adult data in China. The empirical results show that distance-education learners are more likely to experience over-education compared to face-to-face education learners; however, over-education does not have a significantly negative relationship with distance-education learners’ income. We would like to thank Professor Rory McGreal, Professor Mohamed Ally, Professor Hamish Coates, and six anonymous reviewers for their useful comments and suggestions. Bates, T. (2013). Is there a future for distance education? Online Learning and Distance Education Resources. https://www.tonybates.ca/2013/10/23/is-there-a-future-for-distance-education. Goodman, J., Melkers, J., & Pallais, A. (2016). Can online delivery increase access to education? HKS faculty research working paper 22754. https://dash.harvard.edu/bitstream/handle/1/37093804/w22754.pdf?sequence=1. Heckman, J. J., Lochner, L. J., & Todd, P. E. (2003). Fifty years of Mincer earnings regressions. NBER working paper no. 9732. https://www.econstor.eu/bitstream/10419/21464/1/dp775.pdf. Schutte, J. G. (1997). Virtual teaching in higher education: The new intellectual superhighway or just another traffic jam? https://pdfs.semanticscholar.org/6ad5/30196f652b9b480ad38d50eacd8b4cdbb7b3.pdf.